This year, Apple has introduced renamed macOS instead of Mac OS X. it’s called macOS Sierra. The macOS 10.12 has massive fresh and fantastic features like Siri on Mac, Universal Clipboard, picture in Picture and optimized Storage. So here I’m going to demonstrate use Optimized Storage macOS Sierra. Because, we know you love your Apple Mac and filled with so much stuff like documents, Photos, files etc. therefore Optimized Storage feature will help you to get rid alert message ‘’Your disk is almost full’’. 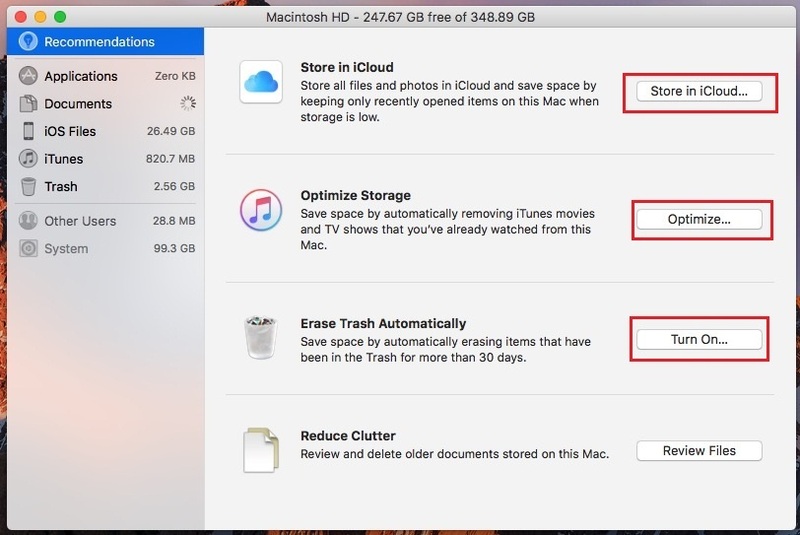 So now, you not needed to make space or delete items manually on Mac but nowadays macOS Sierra compatible Mac users can make free space using Optimizing Storage feature. So you are one click away to make room (free up space) on your Mac laptop or desktop. let’s dive to know Optimized Storage. Step 1. Go to the Apple logo appear on top menu bar. Step 2. 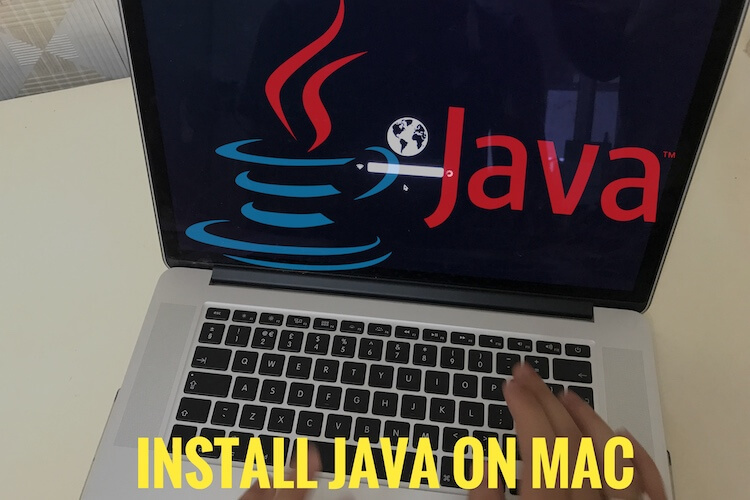 Next up, you have to click on About This Mac. Step 3. Select Storage tab then Click on Details…, you can see in below given screen. Step 4. So now on the left side pane, the recommendations tab will be highlighted options to make Free space on MacBook, MacBook Air, MacBook Pro, iMac, MacMini running on macOS Sierra. Store in iCloud – Store all files and Photos in iCloud and save space by keeping only recently opened items on this Mac when Storage is low. Optimize Storage – Click on Optimize… next button to the Optimize storage to save space by automatically removing iTunes Movie and TV that you’re already watched from this Mac. 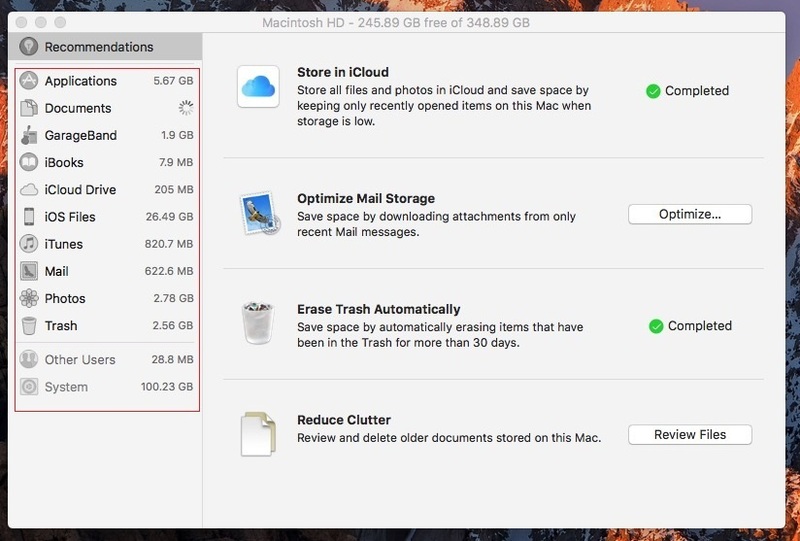 Erase Trash Automatically– to avoid disk full problem on Mac, you need to turn on Erase Trash Automatically on macOS Sierra so that you can get space by automatically erasing items that have been in the trash for more than 30 days. Reduce Clutter – Review and delete older documents stored in this Mac. 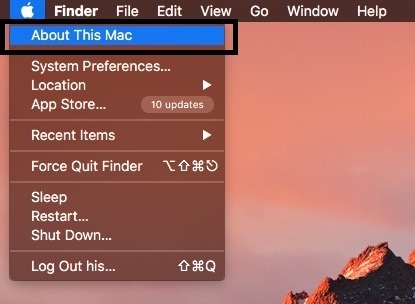 macOS 10.12 can keep unneeded files from cluttering up your mac. It reminds you to delete used app installers, safari cache, clear duplicate downloads. In addition, alternatively, you can also delete data manually by using options appear under the left side recommendation tab including Applications, Documents, iCloud Drive, iOS Files, iTunes, Mail, Photos, and Trash. You should just click on each of these options and see if there are any items which you want to format. So above was the story all about to make free up space in macOS sierra (macOS 10.12). Having any trouble to enable or use optimized storage macOS Sierra? Please comment us we will help you as soon as possible. Like it? Share it.